The North Dakota Board of Chiropractic Examiners issued an alert to its licensees on the issue of the legality of CBD products. "The North Dakota State Board of Chiropractic examiners have received several questions and have been actively seeking a response on the CBD Oil products that are available. 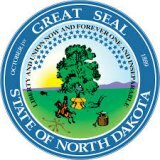 We are notifying all license holders that products containing CBD Oil are currently prohibited in North Dakota. There is a pending Supreme Court case and this may change. If you offer these products in your clinics, we would advise you to remove it from public availability until further notice. Please note, this is not chiropractic specific, products containing CBD oil are currently prohibited state-wide for all. We understand this notice will likely result in questions and the desire for additional information. We have only been provided the minimal information we are sharing and will not be able to give additional information if requested. When we have additional information or updates, it will be shared. If you have legal questions, we advise you seek your private legal representation for guidance." The North Dakota Supreme Court Case referenced above deals with the U.S. Drug Enforcement Administration’s (DEA) 2016 guidance and whether or not its enough to convict someone of drug charges for selling CBD. The North Dakota Supreme Court has agreed to hear a case on that question though it won’t set precedent in other states. It may however, provide guidance for similar cases. The case involves Falesteni A. Abu Hamda was charged in 2017 with seven drug crimes after police seized CBD vape pens and gummy bears from two of his Tobacco Depot shops. Hamda argued unsuccessfully that there was no way to determine his CBD did not come from legal hemp. The trial court sided with the county prosecutor and didn’t allow Hamda to argue that his CBD was legal. Hamda’s appeal will force the court to review whether North Dakota recklessly relied upon the DEA in charging him. Earlier this year, the DEA clarified that its marihuana extract guidance does not apply to hemp grown legally under the 2014 Farm Bill. The clarification came after the Hemp Industries Association and hemp businesses sued. The best advice we could find for any chiropractors with questions or concerns about this topic is to first contact your state board. Beyond that licensees are encouraged to seek legal counsel to ensure their operations comply with state and federal law on this issue.